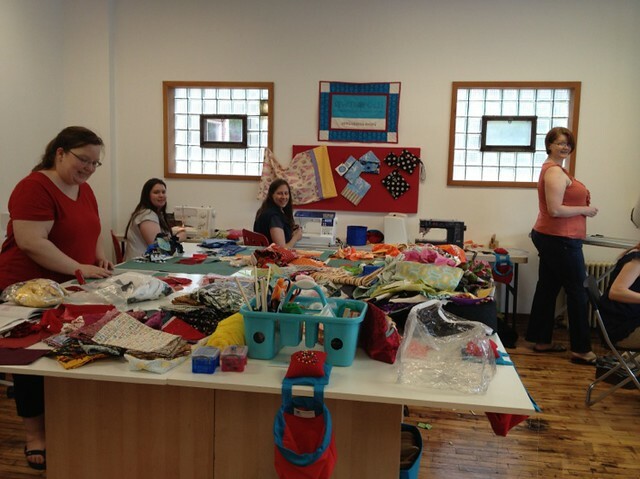 Today was the first charity sew-in at Sewtropolis. We had originally decided to sew for the Women's Advocates shelter, but instead we sewed blocks for a family affected by the flooding in Duluth as that seemed like a more urgent need. 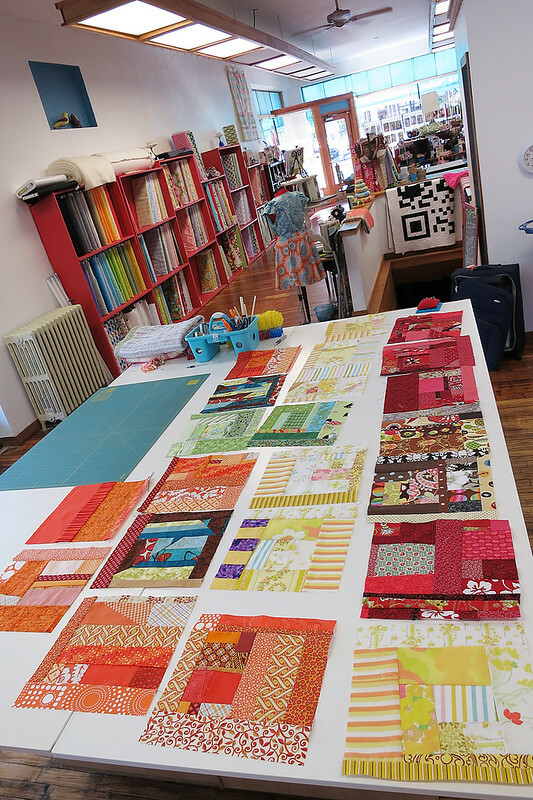 We sorted our scraps by color (thankfully Flaun brought plenty to share for those of us who were lacking) and made monochromatic blocks using the "slab" technique in Sunday Morning Quilts. 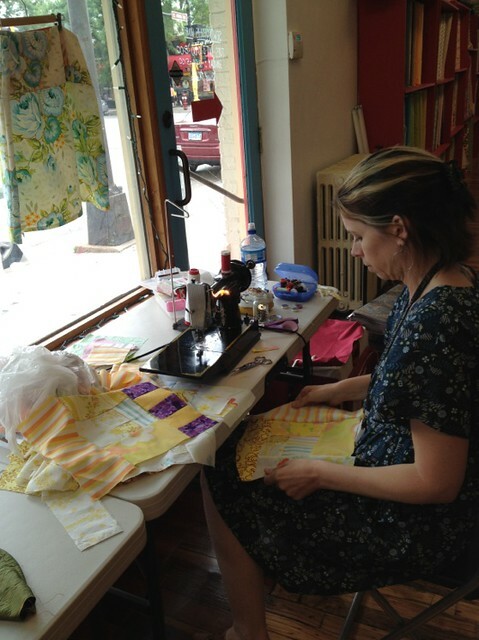 Flaun gave us a quick demo, and we sewed and chatted away the afternoon. 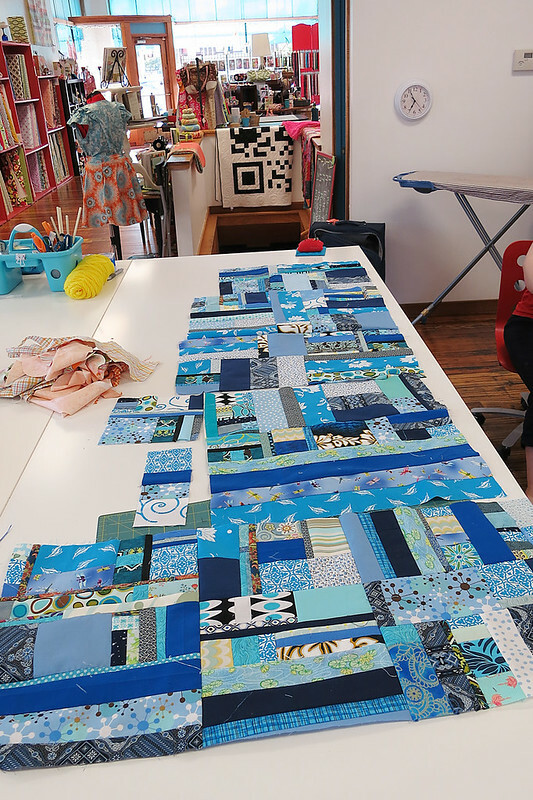 By the end of the day, we had 22 twelve-inch blocks and a few big chunks, which should yield at least one quilt, if not two or more. Flaun generously offered to sew the blocks together, and is going to contact a friend of hers with a longarm to see if she will quilt it for us. Wish I could have been there! The slabs look lovely and can't wait to see how they look in the finished quilts.